Kenny Holland is widely recognized for his melodious covers and lilting voice with which he delivers his incredible pop-rock songs. The American musician is also a talented songwriter and actor. He began his music career by posting videos of himself singing or making music on his eponymous YouTube channel. Kenny used to be a famous Vine star and he had millions of followers as well as over a hundred thousand loops on his videos as at the time the platform shut down. Although he started from playing at small musical events and competitions, Kenny is now a professional musical act with millions of fans who adore his music. Some of his best-known songs include Whatever It Takes, So What, Backseat, and One Day At a Time. He also has a critically acclaimed album and EP named Heart & Keys and Whatever It Takes. Kenny is known for his incredible string of covers of hit songs such as Go the Distance from the movie Hercules, Viva La Vida by Coldplay, Scars to Your Beautiful by Alessia Cara, and Story of My Life by One Direction. Kenny was born on May 1, 1995, in Phoenix, Arizona but was raised in Michigan. He developed an interest in music when he was a young boy and he began learning how to play the piano when he was 8 years old. He practiced every moment he got until his skill improved and he was allowed to perform at his high school’s events. He graduated from Pinnacle High School. The talented singer gained popularity after he signed up on the Vine platform and began uploading videos of himself singing covers of hit songs. He quickly gained over 1.4 million followers, all of whom adored the little snippets of music he was generous enough to bless them with. 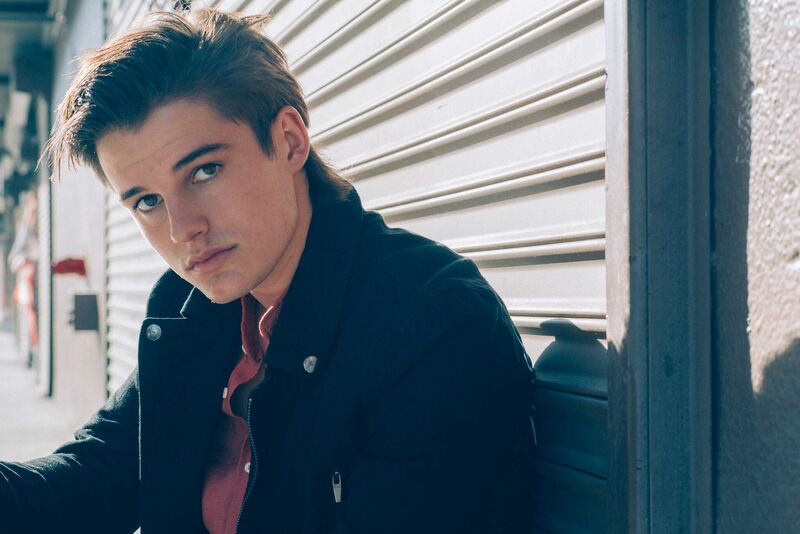 The young talent also opened a YouTube channel called Kenny Holland, where he posts videos of himself singing songs he composed himself as well as covers of songs by other artists. He also uploaded music videos for some of his popular songs like Lifeline, This Dance, Dreamville, and Souvenirs. The Youtuber released mashup videos of songs and featured his siblings in some of his videos especially because he is not the only member of the Holland family blessed with a phenomenal singing voice. The pop-rock musician relocated to Los Angeles to pursue a career in music professionally. He was 16 when he released his very first song called So What, which was one of the singles on his 2012 debut album Heart & Keys. Since then, he has gone on to perform as the opening act for popular artists like Ryan Beatty, Aaron Carter, Rae Sremmund, Demi Lovato, The Rocket Summer, and The Summer, for sold out crowds. He has two EP’s to his credit: Whatever It Takes released in 2014 and Based on a True Story (B.O.A.T.S) released in 2016. Kenny began a collaborative project with his friend Wes Stromberg in July 2015, under the name TheBalCOny. The singer and songwriter also has a thriving acting career. He played Jimmy Flinders in the 2016 movie Saturday Warriors. The motion picture rendition of the stage play with the same title follows the musical journey of a family that came to earth to learn the truth about the meaning of life. It’s a brilliant and emotional movie and Kenny Holland played his role to perfection. 1. The singer was born to Kelley McCormick and Ken McCormick. While he is not their only child, he’s their only son. 2. Kenny has five sisters namely; Madison, Camri, London, Bria, and Capri. All of them have appeared in his videos at some point in the past, but the singer says Capri is his favorite sibling. 3. On the romantic front, Kenny used to date fellow YouTube star, Andrea Russett. Things were going pretty well for the couple until they broke up in 2017. 4. He found love again in the person of Nicole Mitchelle, and after a few months of dating, they got engaged in July 2017. 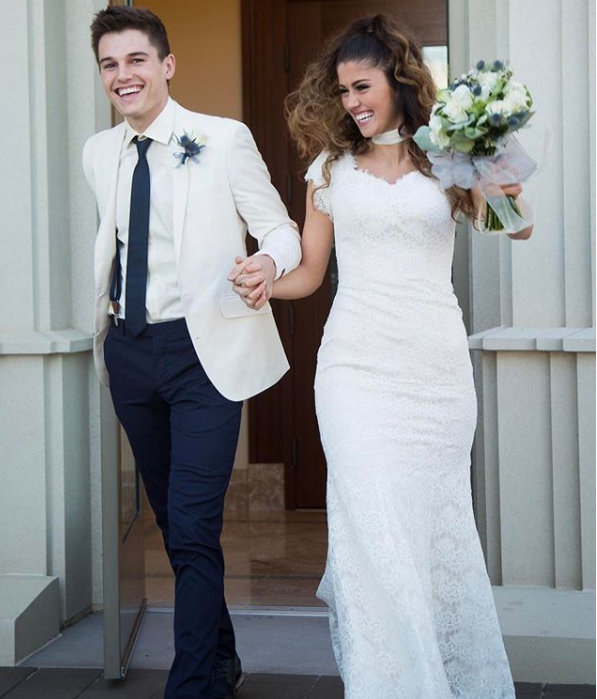 The pair exchanged vows on September 29, 2017. 5. The lovebirds are still happily married, and there is no talk of bringing a baby into the family any time soon.